What a night! 19 Award winners were announced, with Nora Twomey from Cartoon Saloon receiving the President’s Award, and jewellery and goldsmith Rudolf Heltzel receiving the Lifetime Achievements Award. See Winners with Logos 2018 for all the Winners. 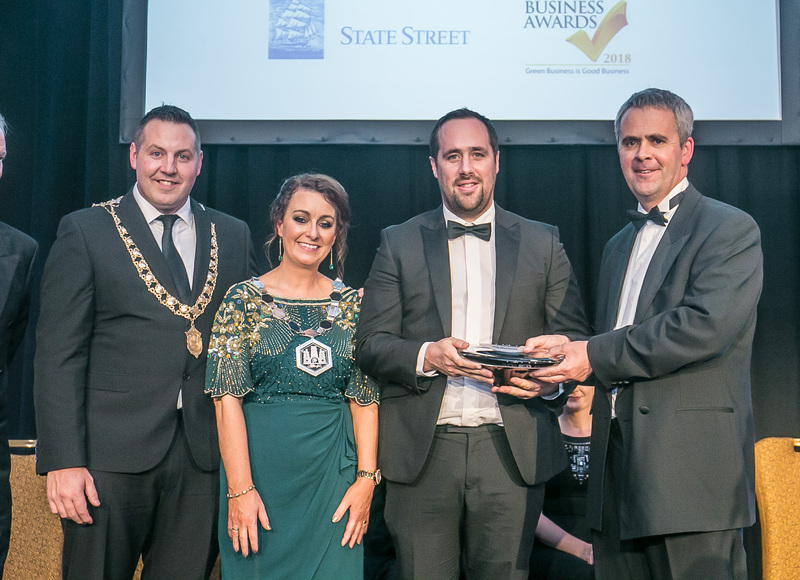 A huge debt of gratitude is owed to our Sponsors, particularly State Street who were the main sponsors of the evening, but also all those companies who sponsored individual awards and who contributed in no small way to the success of the evening. Thanks are also due to Mary Kennedy for her superb work as MC for the evening, and to Purcell Masterson. Fastlane Audio Visual and Mycrofilms who produced a spectacular event.